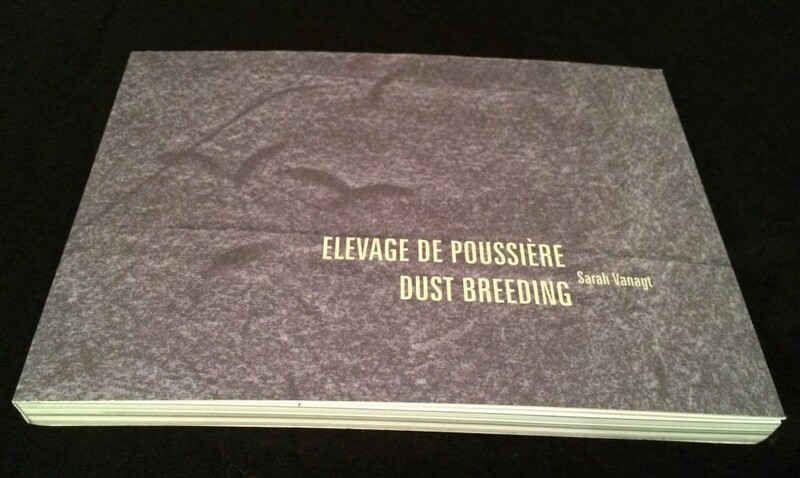 Side 1: Elevage de poussière / Dust Breeding, a film by Sarah Vanagt. The booklet includes additional photos and a discussion between Tobias Hering & Sarah Vanagt (text in English) . Side 2: The Wave, a film by Sarah Vanagt & Katrien Vermeire. The booklet includes a text written by Pieter Van Bogaert, based on an interview with Sarah Vanagt & Katrien Vermeire (text in Dutch & English), and of photos made by Katrien Vermeire during the film and photo shoot in Spain in October 2011.